Bhopal: Madhya Pradesh Chief Minister Shivraj Singh Chouhan today, on completing eleven years in office, gave the indication that he has toned down his rigid posture on the issue of reservation in promotion for State government officers and employees. When the Madhya Pradesh High Court earlier this year had struck down Madhya Pradesh provision for reservation in promotions in state government departments for those belonging to the Scheduled Caste and Schedules Tribe (SC/ST) category, the Chief Minister had said in a speech that there is no power on earth that can stop reservation in promotions. Simultaneously the State Government also went to the Apex Court challenging the High Court order which implied that those from the SC/ST categories who had been promoted under the provision for reservation in promotions were supposed to be reverted. This case is scheduled to come up for hearing in Supreme Court tomorrow. At a Meet the Press programme organised by the Central Press Club here today to mark the completion of eleven years in office by Chouhan which is a record inning, the chief minister summed up a query on reservation in promotion by just stating that the matter is sub judice. The Chief Minister also announced today that his government will subsidise the fees for higher studies for girls from Madhya Pradesh. This scheme will not be restricted only to girls belonging to the reserved category, he added. 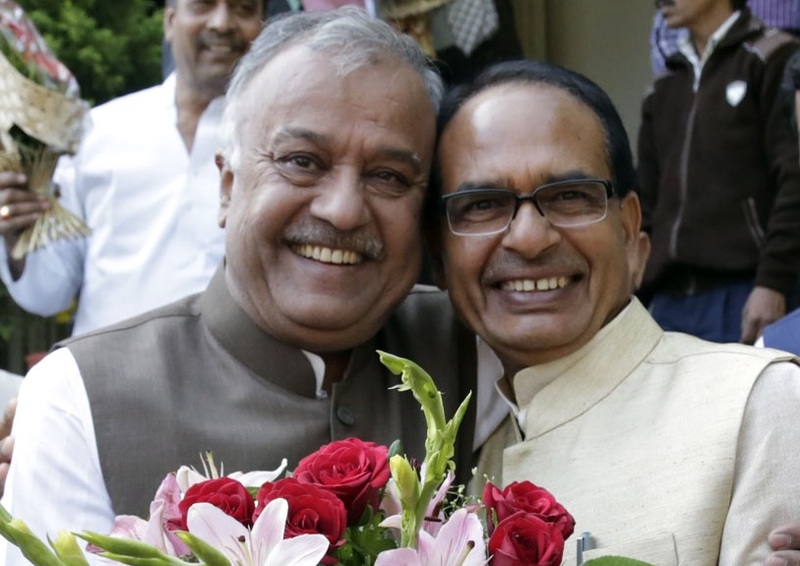 Answering another query, Chouhan said that he favours the idea of state funding of elections. He also extended support to the proposal for holding the Lok Sabha and Assembly polls simultaneosly.